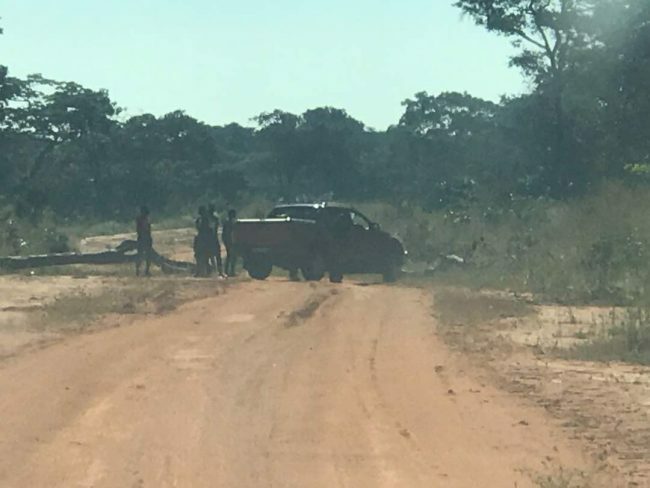 PF cadres, armed with pangas have blocked routes to polling stations in kalebe ward of Shiwang’andu. They are allowing only PF supporters to go in and vote. In the picture is the Ford Ranger for home affairs minister Kampyongo who is supervising the blocking of opposition voters.